It is important to maintain oral hygiene and completely get rid of any plaque from the teeth regularly. 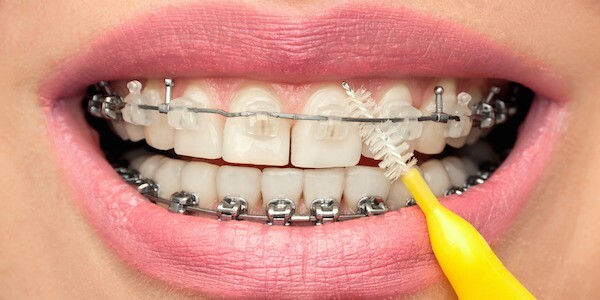 This becomes more important when you have braces because the wires and brackets create hideout spots for the bacteria. These bacteria cause formation of cavities, staining, bad breath and gum problems. If brushing isn’t possible, make sure you rinse you mouth clean by swooshing a mouth full of water thoroughly and then spitting it out. Foods to avoid if you are wearing braces: This includes those hard edibles that can cause damage to the braces- popcorn, nuts, hard candy, gum, hard and sticky chocolates etc. Instead pick softer and healthy options like yogurt, bananas, grapes, oranges, cheese, mashed potatoes, macaroni etc.